No matter the size of your kitchen, you probably wish it had more storage space. And since the choice to remodel isn’t one to take lightly—in fact, the kitchen is the most expensive room in a house to renovate—sometimes we have to settle for smarter storage rather than more. 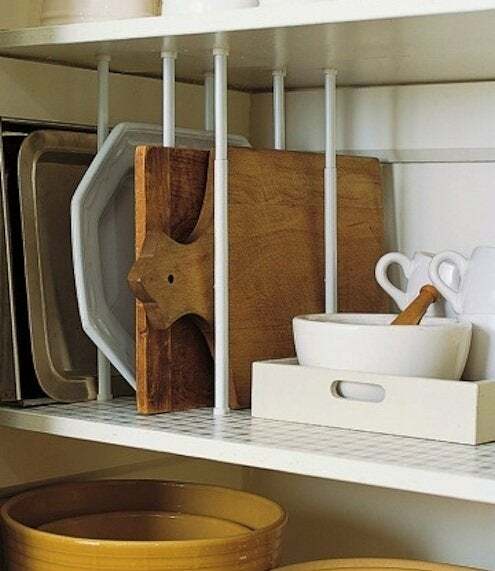 Take advantage of taller pantry shelves and try using curtain tension rods as support dividers for sheet pans, cutting boards, and serving ware. Learn more at Martha Stewart. 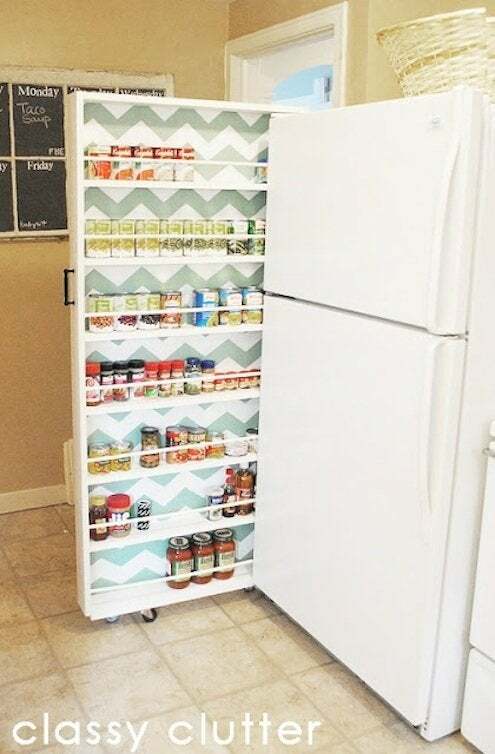 Mallory devised this genius kitchen storage storage: a custom-built storage rack for canned goods that slides into that sliver of unusable space between the refrigerator and the wall. Visit Classy Clutter for the full how-to. 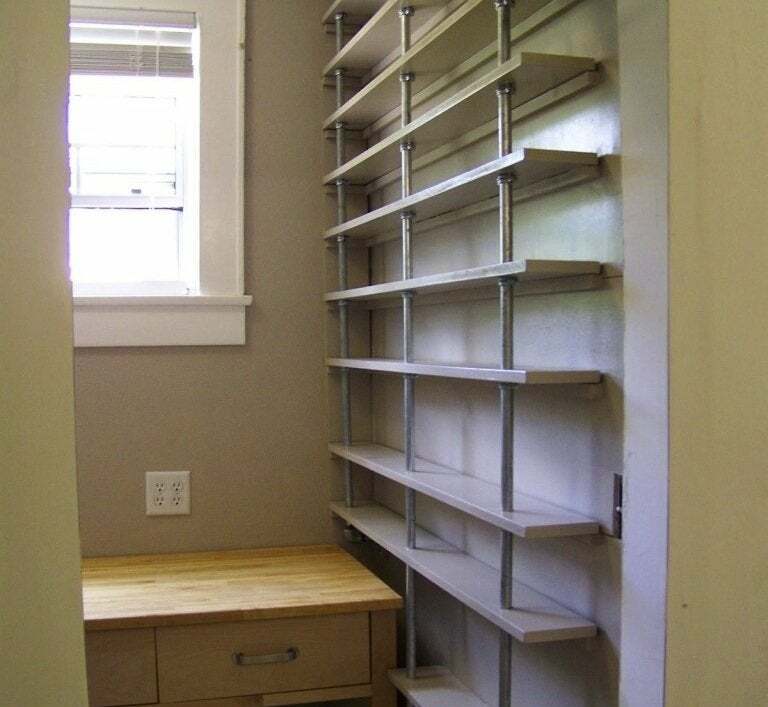 Jennifer spent a day attacking the “no man’s land” of miscellany under her kitchen sink, ultimately winning the battle with exceptional organizational savvy. 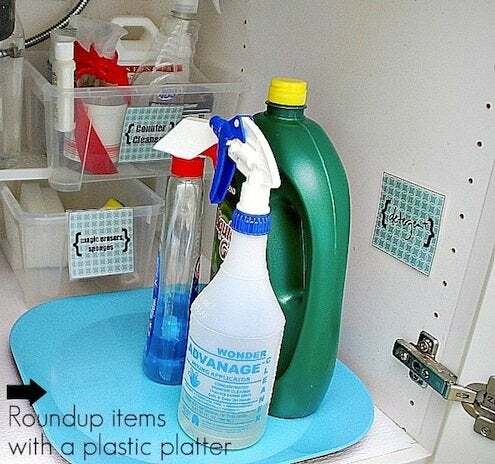 Her (highly recommended) tips include repackaging and labeling cleaning products so they fit side by side. Many of these techniques would work in the bathroom as well. Find Jennifer’s tips and get free downloads at Tatertots and Jello. 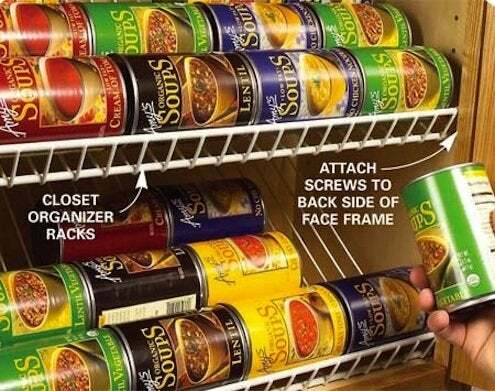 The team at Family Handyman show you how to install pre-made closet racks within your cabinets for storage of canned goods and other pantry staples. The number one problem in my own kitchen? Finding the right measuring spoon or cup when I need it. 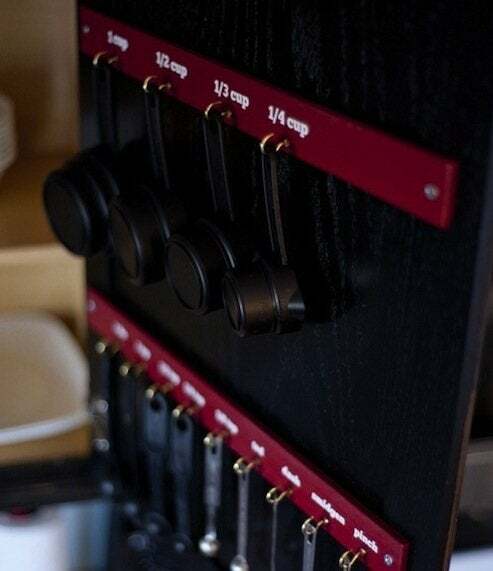 Becky figured out a creative solution to this common annoyance by mounting measurement tools on—get this—paint stirrers inside her cabinet door. Nice. Cassandra and Nate totally tricked out their walk-in pantry with DIY storage shelves made from MDF and plumbing pipe fittings. 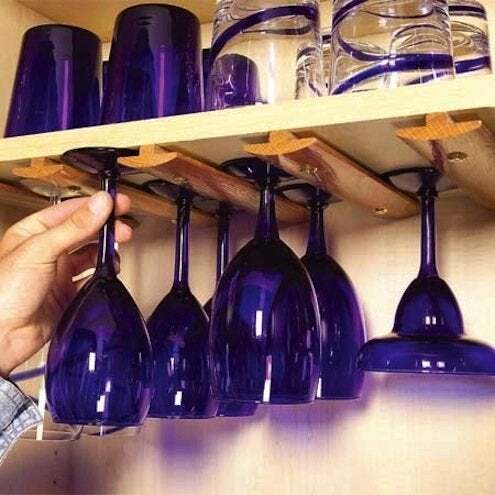 Finally, check out this wine glass holder made from T-molding (originally designed for wood floor transitions). Just cut it to size, space evenly, and hang.